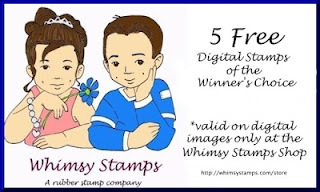 Our sponsor today is Whimsy stamps and they are giving one lucky person 5 digi images of the winner's choice. And as you probably know they have many fabby images in their store. :D Good luck in the draw!